Have you noticed? Lead stories in the news are no longer about high unemployment, a bearish stock market, lack of consumer spending, or foreclosure numbers. I noticed it and thought, “So, this is what recovery feels like.” It has been a long time in the making. This economic recovery has been atypical because the 2008 recession was not a typical recession. What made it unique is the entire country and all industries went into it at the same time. Plus, it did not discriminate; it affected all economic classes of people. While we all went in together, the recovery happened at different times for each industry and geographic area. For some of you, the recovery may still be coming. Another observation… a lot of managers have salespeople who have coded but are not dead yet, and the managers are doing CPR. #1 – Replace your code blue (i.e. non-performing) salespeople, with stronger ones –now! That’s it. I’m sure there are more – but none more important than this one. Failure to make this adjustment means you’ll be ill-equipped to weather the next recession. Nothing works against you like time. A recession follows a recovery and the next one is on its way. Getting a new salesperson up to speed takes time. Upgrade now and you still have time to get them onboarded and establishing relationships. Stronger salespeople will carry you through the next downturn in the economy. Having weak salespeople going into the next recession is not a good strategy. Top salespeople are available now. During a recession, they tend to stay put. Face it… when the next recession hits you’ll let your non-performing salespeople go anyway. Free them up now and hope your competitors hire them. Isn’t that what you want anyway… to have stronger salespeople than your competitors. 1. You are taking on too much personal responsibility for their lack of performance. In some ways, you feel you have not done enough. Ok it is normal to feel this way and it’s great you take responsibility. Get over it; you have and its time to move on. You are responsible to you people not for your people. 2. You feel you cannot find a good salesperson; let alone one better than the one you have. If this is true, quit using this as an excuse for not upgrading and get outside help. Performance Group recruits top salespeople. If you struggle in this area, maybe this will help. 3. You have more important priorities. Well, you won’t when the economy goes south so get proactive in recruiting better salespeople. 4. You don’t see or believe that another recession is coming or at least not soon. You don’t have to dig deep to see that the current economy is tenuous at best and it won’t take much to slow it down. Recession follow progression. Always has and always will; what changes is the duration. 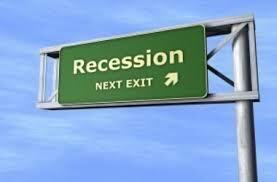 Prior to the recession of 2001, periods of economic growth were longer and recessions shorter so you could ride out a recession and you had a long enough growth period to recover. Most economy experts agree that the current pattern of faster cycling times of recessions to recoveries will continue. For at least five to six more years it will feel like riding an economic roller coaster. Then, they predict it will cycle back to the pattern we saw prior to 2001. 5. They are just getting by or at least, paying for themselves. When did you lower your expectations and/or when did mediocrity become acceptable to you? Run that by someone else not tied to the situation to get a reality check. Third party views are always more objective and can be helpful. Revenue is the oxygen that breaths life into your organization. When the air gets thin, it is not the time to be concerned about a salesperson that is not performing.